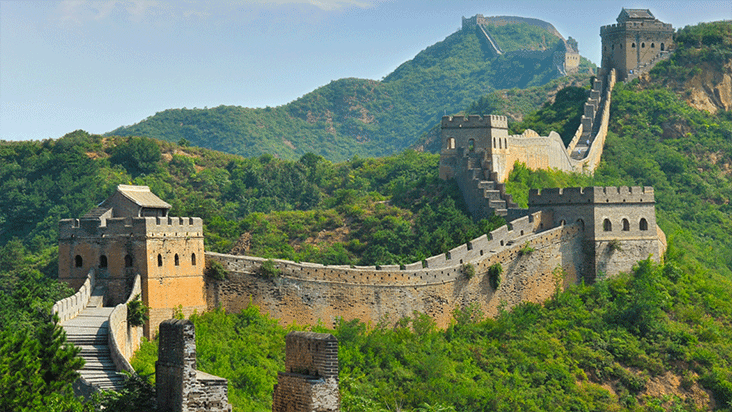 Jetset through China visiting the must-see attractions in eight days flat! If you're on a tight schedule and you want to be whisked around without any fuss, this is the China itinerary for you. 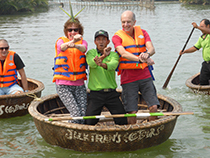 Our guides and support staff will do all the hard work to ensure that you get the most out of China in this fast paced trip. Our Express itineraries cover the must-see attractions with a priority on enjoyment and convenience. All itineraries can be customised to suit your personal tastes. Discuss itinerary options and extensions with our Asia Travel Experts. You will meet your guide on arrival, transfer and check-in to your hotel. 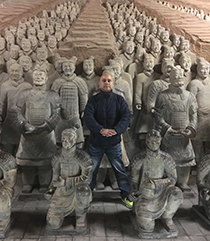 During the drive your guide will provide an introduction to Beijing, answer any questions you have, and make arrangements for the following day. Enjoy free time for the remainder of the first day. Beijing has served as the capital of China for over 800 years and is the second largest city by population. Home to the sprawling Forbidden City, the Temple of Heaven and the Summer Palace, as well as the most popular spot to visit the world famous Great Wall. Beijing has many great restaurants and bars. Ask your guide for personal recommendations. Itinerary Option: If you’re arriving to Beijing in the morning, discuss additional Day 1 activities with our staff. Today you'll visit historic Tiananmen Square, the largest public square in the world. 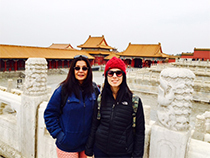 Followed by a visit to the sprawling Forbidden City that dominates central Beijing, as it has done since it was it was completed in 1420 AD. This amazing complex is divided into political, living and entertainment areas, and is a highlight of any trip to China. In the afternoon visit the Summer Palace, with its lush gardens and lakes it is easy to understand why it was a favoured place for emperors to relax. Tonight you are treated to Beijing's world famous dish, Peking Duck. 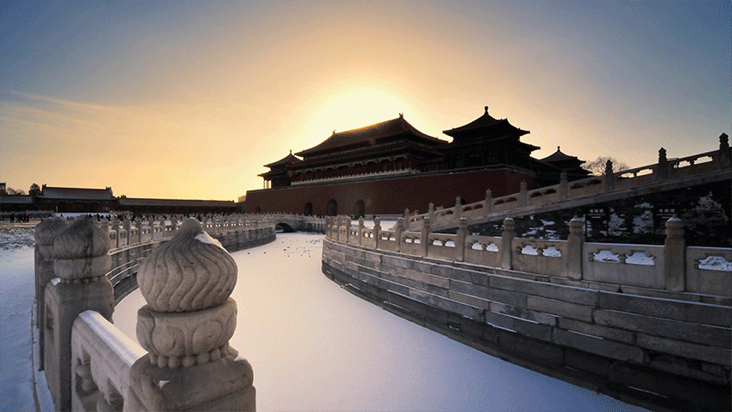 The Forbidden City consists of 980 buildings with 8,886 rooms. The city is built on the site of the former Mongol Yuan Dynasty Imperial City that was destroyed following the founding of the Ming Dynasty. In the Second Opium War of 1860 the British and French forces forcefully occupied the city temporarily. From its overall layout to the smallest detail, the Forbidden City was meticulously planned to reflect philosophical and religious principles, and to symbolise the majesty of Imperial power. Your guide will explain why particular colours were chosen, why particular statuettes line the sloping roof ridges, and how numbers influenced the layout and design of the complex. Head out to visit the Ming Tombs built for thirteen emperors of the Ming Dynasty (1368 - 1644 AD) and its Sacred Way, also known as the Way of Spirit. From there travel northeast to the Great Wall built to protect China from invasions from the north, namely the Mongolians and Manchurians. Climb the wall at the Mutianyu section followed by a lunch at a local restaurant. 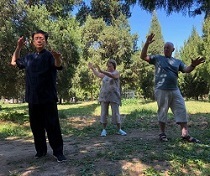 This morning visit China’s largest temple and altar complex as well as the city’s symbol, the Temple of Heaven, built in the Ming Dynasty and surrounded by purpose designed parklands. Afterwards grab a bargain or simply window shop at the famous Hongqiao Pearl Market or Silk Alley. In the afternoon explore Beijing's hutongs, or old residential laneways, that are slowly disappearing to redevelopment. Visit a family's hutong residence to see how Beijing locals have lived for centuries. Take an afternoon flight to Xian where you will meet your guide on arrival. Your guide will provide an introduction to Xian, answer any questions you have, and make arrangements for the following day. Enjoy free time for the remainder of the first day. Well established two centuries before the founding of Rome, Xian was the capital of China throughout a number of important dynasties. When trade via the Silk Road began in the Han Dynasty (206 BC - 220 AD) Xian was the capital and at the eastern junction of the route. The introduction of exotic Chinese goods to the rest of the world started at Xian. Having grown progressively through several ruling dynasties, Xian, known as Chang'an in the mid seventh century, was the largest city in the world before it was devastated at the end of the Tang Dynasty. However, the city was rebuilt during the Ming Dynasty with the new city wall completed in 1370 based on the inner palace walls of the Tang Dynasty city. The Ming Dynasty walls are well preserved and can be circumnavigated on foot or bicycle. Today you will visit Xian's Muslim quarter to see the Chinese styled Great Mosque which was founded in 742 AD, when Xian was the largest city in the world and home to many thousands of foreigners. In this fascinating area you'll notice that many of the residents come from mixed ethnic backgrounds possibly dating back to the early days of the Silk Road traders. Some of the Islamic-Chinese food you'll see in the market and on restaurant menus is unique to this region. Explore Xian's ancient city walls. At 12 metres high and 12-18 metres thick they are the best preserved in China. 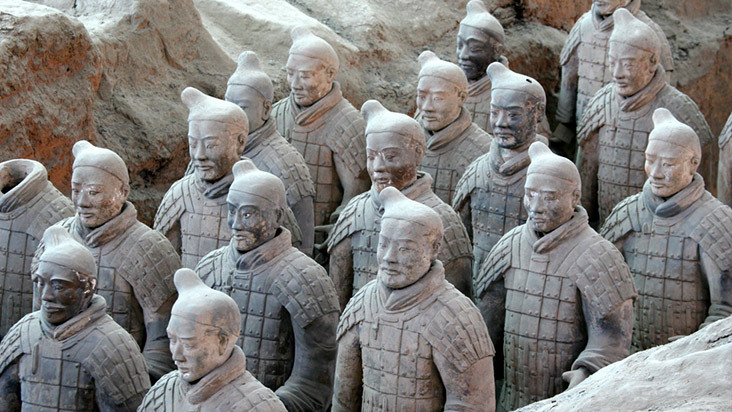 Each warrior, horse and chariot of the famed Terracotta Warriors is unique, having been intricately created by hand in 209 BC, over two thousand years ago, and rediscovered by accident in 1974. We've all seen them on television, but nothing can prepare you for the awesome scale of over 8,000 life-sized models, complete with armour, weapons, and individual facial features. Truly something that has to be seen to be appreciated. To complete your introduction to Xian, enjoy the Tang Dynasty Dinner Show in the evening. Visit the Provincial Museum to learn the history of Xian and the ancient Silk Road followed by a visit to the Big Wild Goose Pagoda which were initially built in the seventh century to house Buddhist scriptures brought back from India by pilgrims. In the afternoon you fly to Shanghai and meet your guide on arrival. Your guide will provide an introduction to Shanghai and make arrangements for the following day. Enjoy free time for the remainder of the first day. Shanghai is China's largest and most prosperous city, consuming countryside and ancient villages in its relentless growth outwards and upwards. Coming to prosperity as a trading concession for European and North American merchants, today the city is one of the world's greatest trading hubs and financial centres. If Beijing and Xian are China's living museums, then Shanghai is an insight into the future of this amazing country. 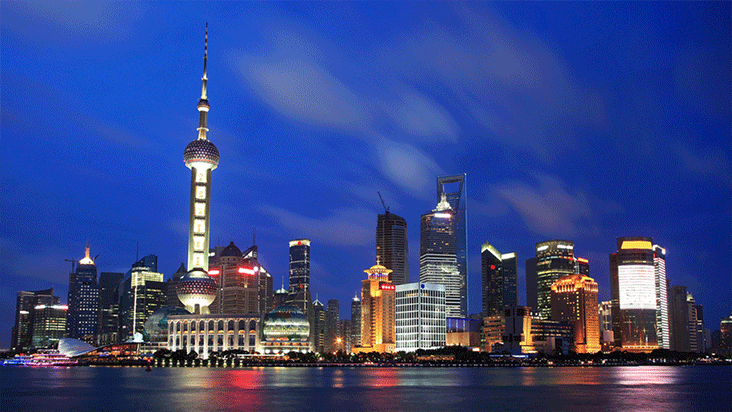 Shanghai has a multitude of restaurants and bars and some of the world's best shopping. The centre of Shanghai is accessible, safe and fun to walk around, if not a little crowded during the day. Ask your guide for advice and personal recommendations. Following breakfast, accompany your guide for a visit to China's premier museum, the Shanghai Museum, which covers the history of China from ancient times to the modern age. Afterwards visit to the Jade Buddha Temple, and the Yu Garden and Bazaar. Walk the streets of the former British and French concessions established under the Treaty of Nanking, following the first opium war in 1842. The settlement was established north of the original Shanghai city walls and today makes up part of the riverfront referred to as the Shanghai Bund, or embankment, still home to many grand buildings from that period. Directly across the river is Pudong, the contrasting new Shanghai which serves as the modern financial and commercial centre. The CBD in Pudong sprang up in the 1990s where agricultural villages once stood. Growing at a stagging pace, Shanghai is the largest city centre in the world and is still the fastest growing city in the world too. Leaving the former British and French concessions, travel to Pudong and ascend China's tallest building, the Shanghai World Financial Centre. Enjoy the panoramic views of Shanghai and the Bund back across the river. To complete your introduction to Shanghai, in the evening, enjoy the world famous Acrobatic Show at the Centre Theater. On your last day enjoy free time until your departure transfer with your guide. Beijing: Attend a martial arts show at the Red Theatre. Xian: Spend longer in Xian and cycle around the city walls and further explore the Muslim quarter. Shanghai: Spend extra days in Shanghai to enjoy the waterfront, restaurants, night life and shopping, and better gain an insight into the China of tomorrow. Shanghai: Travel to one of China's famous water towns on a day trip from Shanghai. Shanghai: Travel to the ancient town of Suzhou, famous for its silk, gardens and canals; and take a short cruise along the Grand Canal, one of the ancient wonders of Chinese engineering. Shanghai: China's most dramatic mountain wilderness scenery, Mount Huangshan (Yellow Mountain) is close to Shanghai. This trip package includes 2 internal flights (Beijing - Xian and Xian - Shanghai) which retail at about 200AUD per flight. Beijing may use the new airport from Sep, 2019 which is more far, so quote the additional charge for that.